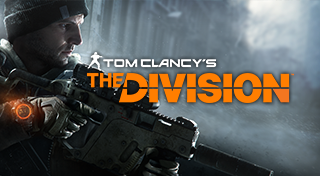 The Division is a multiplayer online third-person shooter from Ubisoft and during the first few weeks at launch, I played with a group of my friends and we enjoyed it quite a bit until we started to play outside the group and the difficult scaling was causing issues. In the end, we did end up completing the campaign together though. The premise of the game is that you are a division agent and you were deployed to New York City due to an outbreak that occurred here, your job is to setup base camp and find out what happened here. At the beginning, your base is very empty. The base itself is divided into three logical areas (security, medical, and technology) which you need to gather points in order to expand on the abilities of those areas, you do this by completing missions of the specific type. Once you have enough points, you go back to base and you unlock new sections which gives you new abilities. Missions are divided into main missions and side missions. Main mission will progress the story and the side missions are to gain experience, points, and other items. The map is divided into boroughs, each with their own suggested levels to play through them, and then a camp which you can use to fast travel to, allowing you to navigate quickly when you are on the opposite side of the map. Each of the camps will have vendors as well as a new set of missions and side missions for that borough. Rinse and repeat until you finish the game. When you have gotten far enough, you can enter the Dark Zone which is where PvP (player vs player) happens. Outside the Dark Zone it is just PvE (player vs enemies). In the Dark Zone, there is a separate currency that is maintained, the drops for loot are better and it is more difficult in general. It is fun if you have a group to play with, however, if you are on your own, it is quite difficult to achieve anything in here in my opinion. By the time we stopped playing, they had added a new patch which changed the game completely and it was causing issues with the game so I guess I am glad that we finished when we did. It was fun while it lasted but it did not have a long lasting addiction that I thought it might have, maybe because we don't play PvP games much. At this point in time, I assume that it might be worth while to wait for a price drop since it has been out for awhile and if you are new, it is hard to start playing with friends that you have who are higher level since the missions will balance enemy difficulty based on an average of the group's level. Come back next Wednesday for my Final Thoughts on SkyForce Reloaded for Android.